You know you're getting old when a movie from your childhood is now getting a remake. Well, not exactly from my childhood, but college days. It seems as though MC Lyte has something up her sleeves, and she made the announcement on Instagram. 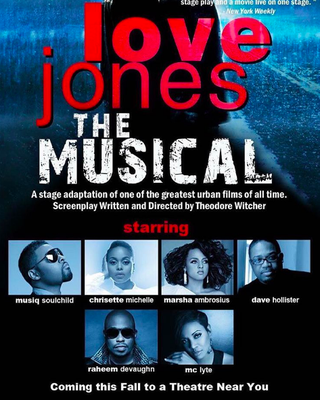 The rapper announced an upcoming musical version of Love Jones, the Theodore Witcher film that had everyone and their mama wanting to be spoken-word artists. The musical is set to start this fall and stars MC Lyte along with Marsha Ambrosius, Raheem DeVaughn, Musiq Soulchild, Chrisette Michele and Dave Hollister. Dear God, please don't let this be one of those chitlin circuit musicals.